Due to the closure of the RAFA Vulcan Club in Pontefract, the Vulcan Bombers have decided to move venues and will from this point forward play their home games at the Carleton Grange Club, Carleton Road, Pontefract. WF8 3JF. This is also where they intend to play their home fixtures from next season. If you require any further information please ring Bombers Captain Mick Edwards on 01977 704211 or League Secretary Simon Curtis on 07539 073320. Please see further down this News page for the earlier announcement re the Vulcan Mosquitoes. KNOCKOUT CUP SEMI-FINAL, PLATE KNOCKOUT SEMI-FINAL AND HANDICAP CUP ROUND ONE DRAWS WILL TAKE PLACE ON TUESDAY 26 FEBRUARY 2019 AT THE FEATHERSTONE HOTEL (TOP HOUSE) COMMENCING APPROXIMATELY 7.30PM. THESE DRAWS WILL TAKE PLACE ON FACEBOOK LIVE ON THE FTQL FACEBOOK PAGE AND ALSO ANYBODY INTERESTED IS WELCOME TO COME TO THE TOP HOUSE. Due to the uncertainty that you may have heard about regarding the future of the RAFA Vulcan Club in Pontefract, the Vulcan Mosquitoes have decided to move venues and will from this point forward play their home games at the Upton Arms, home of Flanagan's Army. In weeks where both teams are at home, unless Vulcan Mosquitoes (who will continue to be known as Vulcan Mosquitoes until the end of the season) arrange otherwise, there is an upstairs room at the Upton Arms which will be used for the second match. If you require any further information please ring Mosquitoes Captain Stuart Topps on 01302 300906 or League Secretary Simon Curtis on 07539 073320. 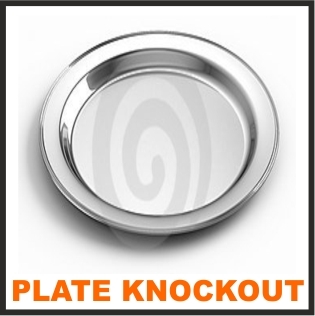 Knockout Cup Round Two and Plate Round One draw now in! 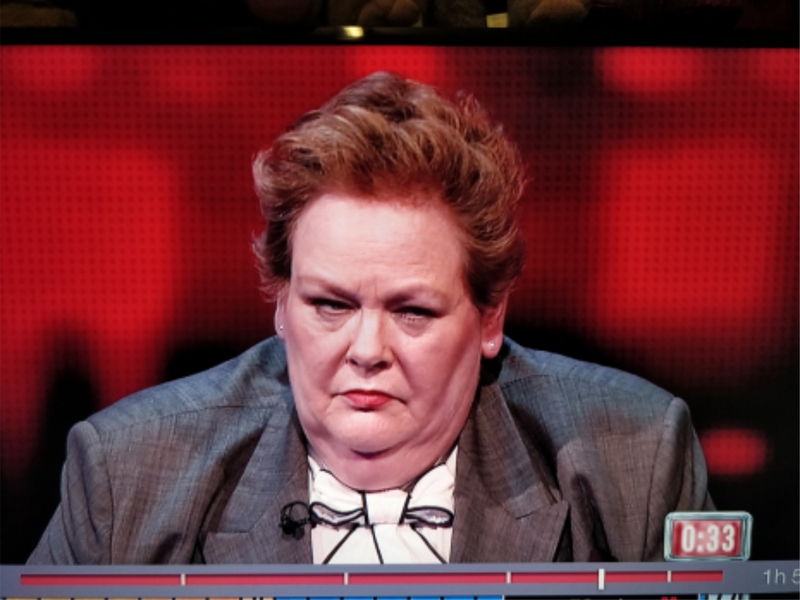 FTQLer Gayna Gillespie is a TV quiz superstar!. 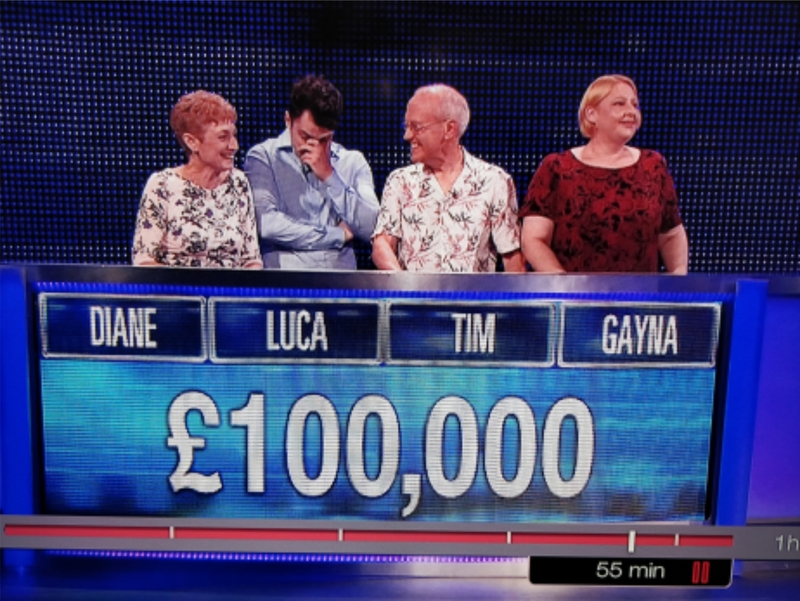 Team on ITV's The Chase wins a record amount for any daytime show. Gayna shines with multiple top-class answers! Well done Gayna, drinks all round then! As you may know, we had planned to hold the Handicap Cup Final and Pairs competition event at the Golden Lion in Ferrybridge, which was confirmed 3 or so weeks ago in the Newsletter at Handicap Cup Round One stage. 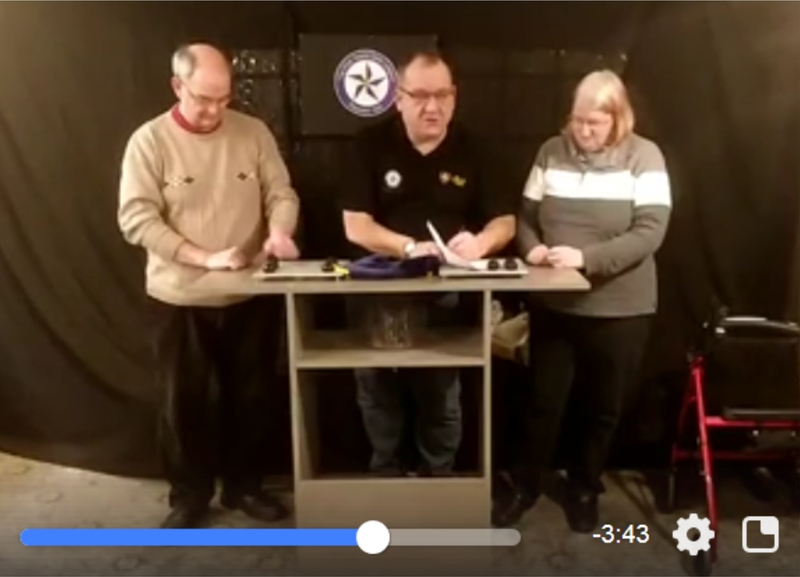 However, due to circumstances beyond the Committee and quiz league's control, we are not now able to hold the event there at the Golden Lion. 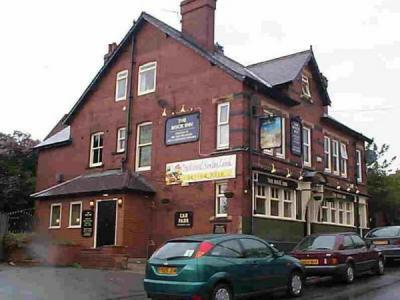 Obviously, this left us in somewhat of a position, scraping round to try and find a last minute venue with availability and willingness to hold the Handicap and Pairs Night, but we have managed to do that and the event will now take place at the Rock Inn, Rock Hill, Glasshoughton, Castleford. WF10 4RD, on the same date, Monday 14 May 2018, commencing at approximately 7.45pm. We are grateful to licensee John at the Rock for stepping in at the last moment and also for offering to provide refreshments at no extra cost. The Knockout Cup and Plate Knockout Finals Night and Presentation will take place at the George V WMC, Front Street, Glasshoughton, Castleford. WF10 4RN on Monday 21 May 2018 commencing at approximately 7.45pm with the Plate Final Crofton WMC vs Vulcan Mosquitoes, followed by the Knockout Cup Final and then the presentations etc as usual. There will be the usual Finals' Night programme, with its humerous cover and entertaining articles inside including meet the Final teams etc. We can also announce that this year we will be joined by a world famous superuperduper megastar to present the trophies in Mr Jonny Mitchell the (now former, moved on) Headteacher from Thornhill Community Academy in Dewsbury and star of Educating Yorkshire along with (and courtesy of) our questionmaster for the evening Michael Steer of Olde Taverners. There will also be raffle and finally the Members' draw, a popular recent facet of Finals' Night, where every registered player for the season who is in the room receives one raffle ticket and the winning ticket drawn wins a season's free league fees for their team. So, logically, the more of your players attend, the more chance you have of winning that! 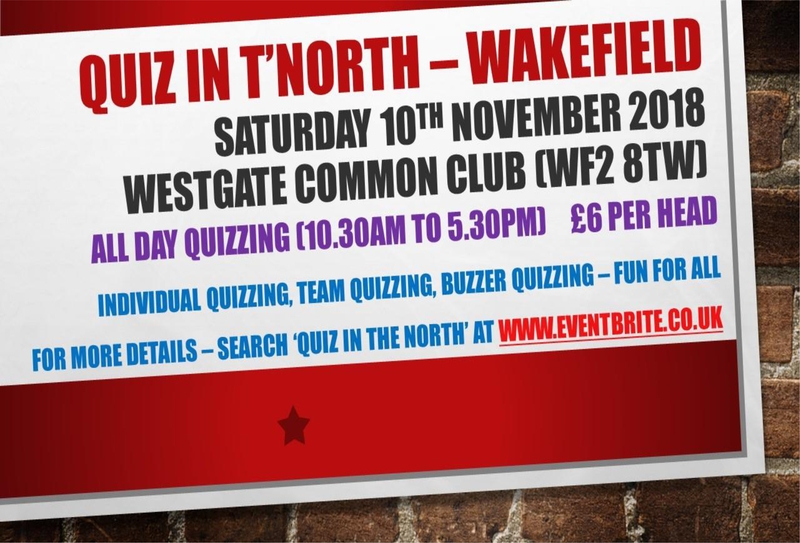 Refreshments will be provided and it promises to be a top night's quizzing along with socialising with all our friends and participators in the Five Towns Quiz League. Thank you to all those questionreaders for volunteering to help. 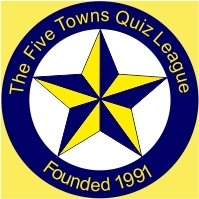 MID-SEASON MEETING - The Five Towns Quiz League mid-season meeting will take place at the Rock Inn, Rock Hill, Glasshoughton, Castleford, next Monday 11 December 2017 commencing at 8pm. The meeting will be held downstairs (so no stairs to climb!) and as usual at this meeting, there will be no set agenda and everything and anything is up for discussion. It would be appreciated if every team could endeavour to send at least one representative to the meeting. THE KNOCKOUT CUP ROUND ONE DRAW WILL TAKE PLACE AT THIS MEETING. Dudes have a quiz superstar guest player! On Monday 13.11.17, our very own Golden Lion Dudes had a superstar guest player, in the form of none other than resident chaser from ITV's quiz show the Chase, Mark 'the Beast' Labbett! Mark took his place on the Dudes' side of the table courtesy of his acquaintance with the Dudes' regular player Dave Bill, who is a director of well-known nationwide quiz-setting company Redtooth Quiz and his presence clearly didn't do the Dudes any harm, as they ran out 88-61 winners against their closest rivals Railwaymen. Mark sat at individual place number 3 in the team, getting both correct and apparently only got one (team) question wrong in the whole Dudes' side of the quiz. 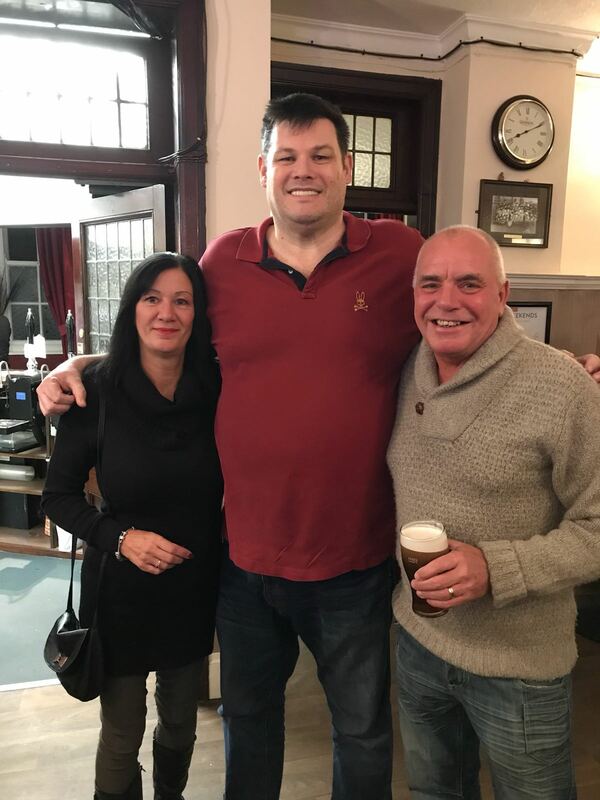 Mark Labbett pictured here with Dude and wife Liz. The funeral of Harry Beevers, co-founder of the Five Towns Quiz League in 1991, took place today Thursday 11 February 2016, at the Trinity Methodist Church in Castleford and Pontefract Crematorium. The service was led by the minister at Trinity, Andrew Checkly and he paid tribute to Harry with several anecdotes from his time knowing Harry and his family. This was followed by an address from Harry's younger brother Cliff and his wife, who although not Harry's twin (a few years younger), still bears remarkable resemblance to Harry Beevers and then Simon Curtis, Secretary of the Five Towns Quiz League since its foundation in 1991 was called up to give a similar tribute to Harry with his memories of Harry and how they came to found the Five Towns Quiz League together in 1991. The text of Simon's eulogy can be found by clicking the link below. The Committee of the Five Towns Quiz League brought a wreath to the funeral, which can be seen on the photographs herein and it was also nice to see a good turnout of quiz people from both the FTQL and Harry's Wakefield quiz league friends from over the years. Click here for the text of FTQL Secretary Simon Curtis' eulogy for Harry Beevers, given to his funeral today 11.2.16.